Have you ever heard of Olga Murray? No? Understandable, she’s not a star. Nor a rich business women. She is just a retired old lady. You’ll say that you have better things to do than read about old ladies, even about nice ones. But I will let you in on a secret: Olga has super-powers. She can’t fly like Superman, nor climb on walls like Spider-man. But she does something that not even superheroes consider easy: she changes mentalities. And not for some people, but for a whole country. Maybe even more. Marvel at how a retired woman, instead of resting under Florida’s sun, decided that it would be better to change the lives of generations. I have my own theory that no matter how old you are, you can still see the childish look on a person’s face. I think little Olga was a cheerful and calm little girl, well-educated and loved by her family. Her love for mountains must have started then. There were troubled times in Europe by then, especially for a family with Jewish origins. In 1931 they decided that it would be better to emigrate. At the time, Israel did not exist as a state, so they went to a more secure place. Destination: United States. They were poor people, but Olga remembers that her parents never refused helping people in need. She learned that this is how it is supposed to be. And that’s what she did all her life. Little Olga grew up in “the land of all possibilities”. She was a brilliant student at the Columbia University of New York. She received her degree in law at George Washington University in Washington. There are all kinds of lawyers, but Olga Murray was really passionate about justice. She made a career out of that. At that time, not many women were prepared for this area. The ones that were received low-end jobs. You know how it is: very capable and working people are easy to recognize. That’s why Olga Murray got her first job where she wanted it – straight in the service of the Chief Judge of the Supreme Court in California. She worked at the Supreme Court until her retirement in 1992. In her 37 years of service, Olga Murray dealt mostly with cases concerning children and women’s rights. In a way, it was a long preparation for what lay ahead. What should a westerner do in order to get a change of scenery? Take a trip to Asia. 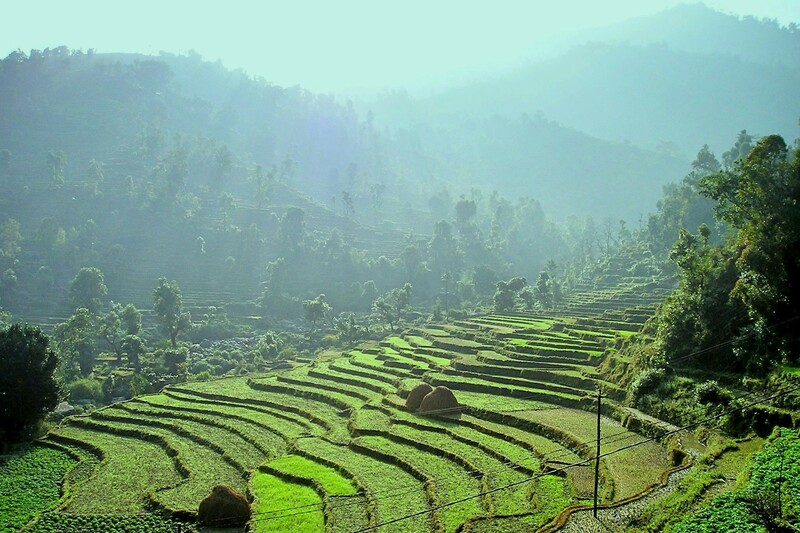 Nepal is an exotic destination. The country of Everest has wonderful sceneries and a unique culture – that means great tourism potential. But the major difficulties are concerning infrastructure and political stability. It is one of the poorest countries in Asia (only Afghans are worse). Despite the inconveniences, 800,000 tourists visited Nepal in 2012 1)”Nepal Tourism Statistics 2012” – a report of the Ministry of Culture, Tourism and Civil Aviation from Nepal, published on June 2013 – a great figure for a country only 147 km2, despite the fact that half of its surface is uninhabitable. Olga was one of these tourists in 1984. She explored the mountain areas and fell in love with those places. But what really fascinated her was the children’s enthusiasm. While our children complain that they don’t have enough toys and clothes with the latest Disney characters, Nepalese children are happy while running and playing around naked with a stick as their only “toy”. Remember what I was saying about Olga working her entire life for protecting children’s rights? In Nepal she could only ask herself: What rights?! She planned on going back. And she did. In 1987 she experienced a great adventure. It seemed that this country wanted to keep her no matter what. During hiking, she slipped and broke her ankle. The villager that accompanied her carried her on his back over mountains and rivers. Sounds like a story, but it took 8 days to get to a doctor in Kathmandu, Nepal’s capital. She got to a small hospital, ran by a young doctor, providing quality medical care, for free, for disabled poor children. And she could not let things pass by her like that. One of the girls, with burns on her feet, kept telling her how much she would love to go to school. Impressed by her willingness, Olga gave her 300 dollars from her own pocket, as a scholarship 2)”Olga Murray’s broken leg led to healing lives” by Meredith May, article published in SFGate on February 8, 2009 (at the time, most Nepalese could not even raise that kind of money in a whole year). Actually, her gift meant much more than she realized. Back in the United States, she started to raise donations to provide scholarships for Nepalese children, through the doctor she met there. She didn’t need large sums of money, because the price of a dress “made in the USA” equaled a full year of schooling for one child. A nice thing to do, right? It was just the beginning. Olga Murray quickly realized she could only do something sustainable in an organized manner. So, in 1990 she founded Nepalese Youth Opportunity Foundation (NYOF), a non-profit organization for helping the misfortunate children of Nepal. The organization was later called Nepal Youth Foundation (NYF). At first there were scholarships. Lots of them. Tens. Hundreds. Thousands! Now, don’t think she stayed there doing nothing! She better understood the situation and couldn’t leave things like that. Did you know that in Nepal, little girls were sold? Specifically, we’re talking about girls coming from poor families, who were given from infancy to rich families for money, to become servants, without any income. But don’t think it was a bargain – a westerner buys a pair of shoes with that money. Even worse is that some of these girls were sexually abused or forced to become prostitutes. Even if this practice, called Kamlari, has been prohibited by law for some time now, authorities did nothing to stop it. This form of slavery was a common one, well that was until Olga took a stand. She sued the government for not applying this law, organized protest marches, asked and obtained the support of international authorities, found shelter for girls in such situations. But most of all, she made Nepalese people understand that this is not a practice acceptable in our century. The organization offered a pig or a goat to the families that intended to sell their girls because of poverty 3)”Sausalito woman helps make better lives for Nepalese children” by Stacey Palevsky, article published in J. Weekly on August 22, 2008. As a result, 12,000 girls were set free from this system. For all these girls, Olga Murray is a hero. Did you know that lots of children in Nepal are malnourished? To be more precise, half of the children under 5 years old. More than 100,000 little children do not get enough food. This is fatal for lots of them. It is the leading cause of death for this age group. The organization built rehabilitation centers for severe cases. Not only were they saved, but their parents were taught how to properly feed them better, according to their age, with minimal resources. These centers were made in partnership with some hospitals, and these hospitals are suppose to completely take them over after 5 years. Because Olga Murray believes that people should learn how to handle themselves without expecting outside help. She rehabilitated thousands of children. All this happened in a few weeks, like they were as good as new. Did you know that children with disabilities in Nepal are considered pariah? It is believed that they are cursed and good for nothing. No one thinks they need any kind of education. And there are more such children than in other countries, because no medical intervention was made in time when certain visual or auditory deficiencies could have been recovered. This organization, founded by Olga Murray, takes children under its protection. Some even took a degree in higher education. A blind lawyer or a blind sociologist were unimaginable, but this organization proved it could be possible. The press writes about them. These kinds of examples are changing mentalities. The foundation has set up orphanages for children with disabilities, but also for those recovered from the streets. And not just any orphanages, but orphanages that can be taken as examples. Children found the feeling of safety, just like in a normal family. They are supported, they get to earn their living. Even during college. All these must disappear. And they will. Nepalese has more to offer the world. They were just prisoners of ignorance. This foundation is one of the most efficient in the world regarding the use of money. Although she personally led this organization for more than two decades, Olga Murray was never paid with money. Instead, she was rewarded even more than she could imagine – with love. “Olga Mommy” has a bunch of kids. Not born, but reborn. And for that, she is the most beloved woman in the world. She received lots of awards and distinctions from the King of Nepal, Dalai Lama, and other great personalities. But are those awards anything in comparison to the hugs of children?! What does a man do after seeing a very difficult situation? Most of them resign. But Olga Murray has shown the incredible strength of “I’ll do what I can now” – day by day, achieving her goal. 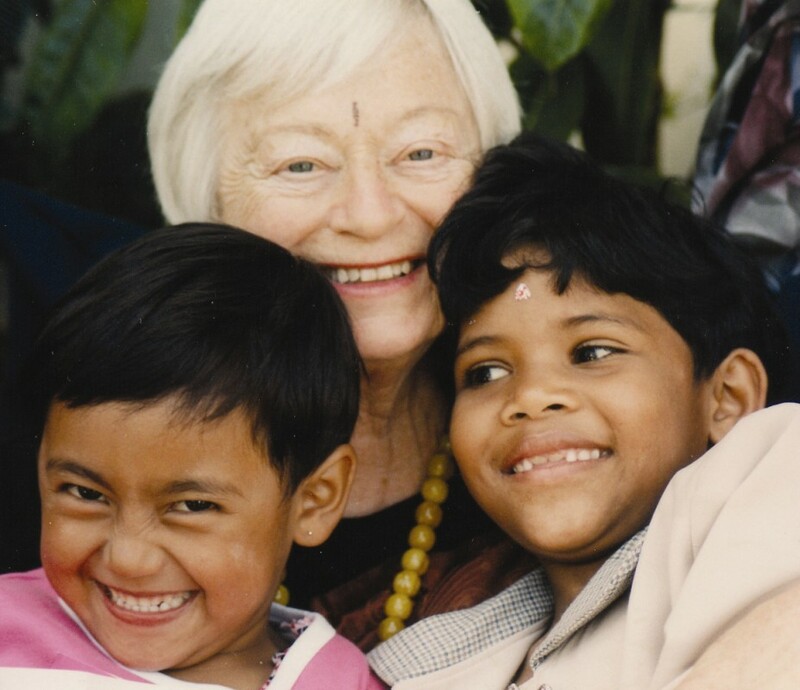 At the age of 90, Olga Murray is still dealing with children in Nepal. The devastating earthquake in 2015 found her there. Now she has another job to do there. Her recommendation: “Go out and do something for somebody. That’s the secret to a good life.” 4)”Sausalito woman helps make better lives for Nepalese children” by Stacey Palevsky, article published in J. Weekly on August 22, 2008 What are you waiting for? !